[Rockford, Illinois, USA] Headlined “Financing Hate” in the group’s Intelligence Report publication, the Southern Poverty Law Center, or SPLC, listed 91 “hate groups” ranging from those clearly on the fringe to mainstream bloggers and websites such as World Congress of Families, Catholic Family News, Atlas Shrugs, Jihad Watch, WND and the Americans for Legal Immigration PAC. Clearly stating its opposition, it describes how some of those organizations utilize Amazon, PayPal and other online services to sell products. SPLC said the Intelligence Report contacted Amazon in September about the participation of “hate groups” and “hate sites” in Amazon programs that earn the groups commissions. “It also demonstrates their true totalitarian colors, in their absolute unwillingness to tolerate the smallest dissent. This is Goliath striking out against David. But we all know who wins,” Spencer said. William Gheen, whose organization, Americans for Legal Immigration PAC, or ALIPAC, opposes illegal immigration and amnesty, said it was all too much. The issue of “hate,” “hate crimes” and “hate speech” has moved back into the headlines now because of a proposal in Congress to evaluate online speech for “hate” and then take action based on that assessment. That’s from the text of a new bill from Sen. Ed Markey, D-Mass., and Rep. Hakeem Jeffries, D-N.Y. The Hate Crime Reporting Act of 2014 “would create an updated comprehensive report examining the role of the Internet and other telecommunications in encouraging hate crimes based on gender, race, religion, ethnicity, or sexual orientation and create recommendations to address such crimes,” stated a news release from Markey’s office. “I believe it is time we put to the test in the courts your false claims and attempts to stir people and companies up against us by mischaracterizing a peaceful multiracial organization such as ALIPAC as similar to Neo-Nazis and the KKK,” he said. Corkins, a homosexual activist, told investigators he had obtained his information about the Family Research Council from the Southern Poverty Law Center, which publicly had labeled FRC a “hate group” because of its biblical position on homosexuality. SPLC lists the American Family Association, a traditional Christian ministry focusing on helping families, and the Family Research Council, in the same category as groups like the “Aryan Nations,” because of their biblically based opposition to homosexuality. “White nationalist” and “racist skinhead” groups are posted in a warning list alongside the family organizations. It was the SPLC’s “Hate Map” that apparently was used by Corkins to identify Christians to kill in 2012. “Its hate group list is so tendentious and politically motivated that they were recently removed from a government website’s listing of resources on hate groups,” she said. WND previously reported on the wide range of groups the SPLC labels as “hate groups,” including the World Congress of Families. 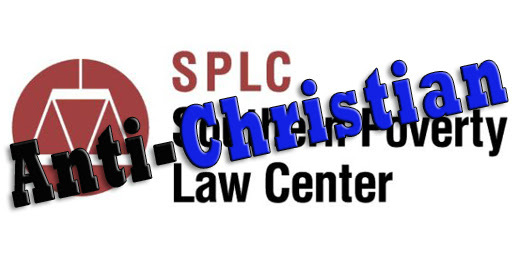 SPLC even has attacked the Drudge Report and Breitbart Editor Ben Shapiro. The looming “hate crimes” reporting plan has been supported by the National Hispanic Media Coalition, as well as the SPLC. The bill does not define which actions by broadcasters would be considered to have encouraged violence, seemingly leaving that open to interpretation. Once the report is compiled, the bill calls for “any recommendations” for action “consistent with the First Amendment to the Constitution of the United States” that is determined to be an “appropriate and necessary” way to address the purported encouragement of violent acts. “Perhaps he could crack a briefing book on the crisis in Ukraine rather than looking for his own extra-constitutional methods of punishing speech he finds unacceptable,” added the Herald editorial.